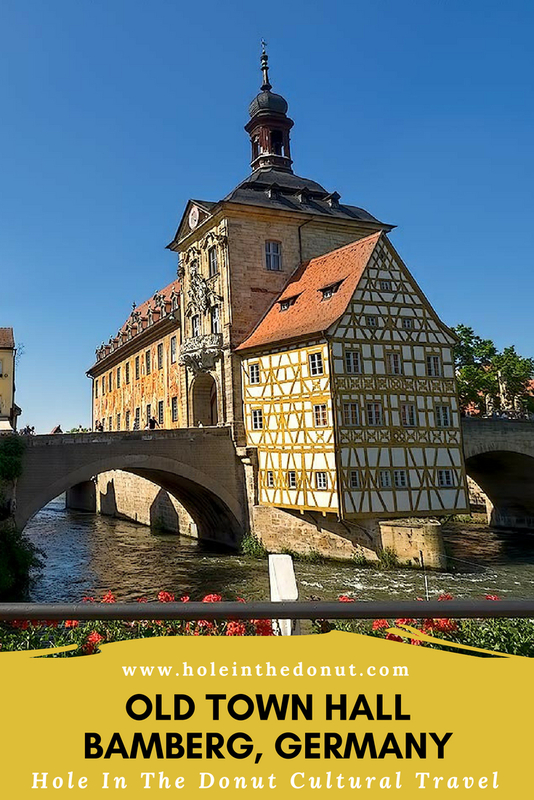 Click on above photo to view it in large format: Built in the middle of the Regnitz River, the 14th century Old Town Hall in Bamberg, Germany (Altes Rathaus) features a facade decorated with trompe d’oeil frescoes. Its unique location is said to be the result of an uprising by the common folk, who in those days were subject to the rule of their Bishop. When their town hall burned down, they petitioned the Bishop to allow rebuilding on a parcel of his land. Concerned over recent demands from residents who wished to make Bamberg a free city, the Bishop refused, assuming any such structure would be used as a meeting place for those who intended to usurp him. The residents, however, were not deterred. They drove pilings into the middle of the river and built an artificial island, upon which they constructed their new city hall. Originally built in a Gothic style, Baroque and Rococo touches were added by Johann Jakob Michael Küchel in 1756. The murals on the exterior walls were painted by Anwar Johann. The Altes Rathaus is one of the many magnificent sites I saw during my Grand European Tour with Viking River Cruises. Check prices for accommodations in Bamberg at Booking.com, Hotels.com, or HotelsCombined.com. 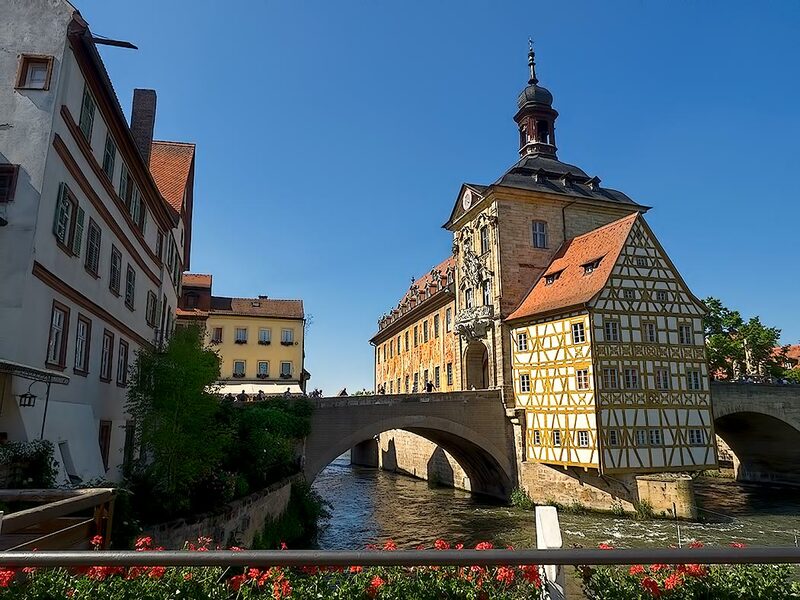 Read reviews about hotels and guest houses in Bamberg, Germany at TripAdvisor.